The Android OS was built on the promise of freedom of usability and customization, and the brand has built up to that promise. Coming from the closed-circuit design of the iOS, new Android users love the personalization that the platform offers, but there are certain elements that have stayed the standard. 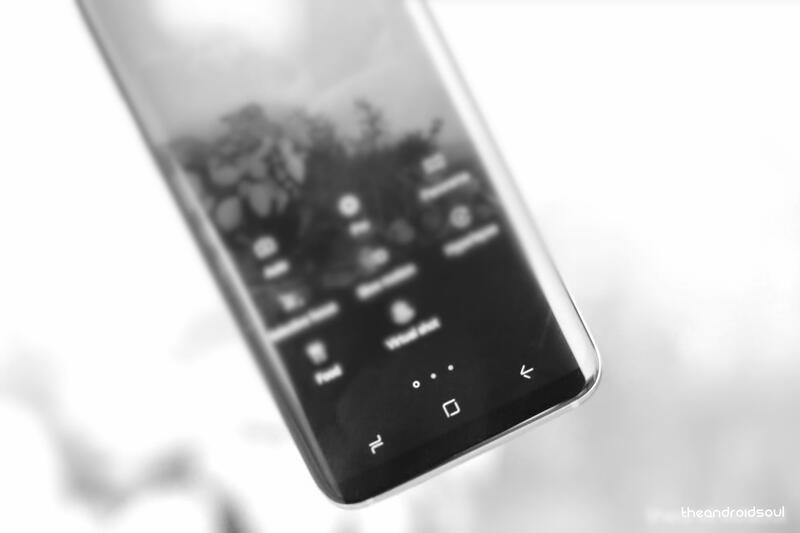 For instance, the on-screen navigation bar has been widely controlled either by Google itself, or the Android OEMs behind it. We’ve already discussed a way to hide the navigation bar in lieu of gestures, but there’s more you can do with it. Apart from adding a bit of color to the navigation keys, you can even edit the positioning of the navigation bar itself to a space that suits you best. Install the ADB and Fastboot driver. Enable the USB Debugging on your device. Download ‘Navbar Apps‘ app from the Play Store on your device. While changing the color of the navigation bar is not a requirement to alter the height, we do recommend you do so. This should help you not only add a splash of color to the navigation menu, but help you easily visualize how much of the navigation bar is visible once you edit its position. 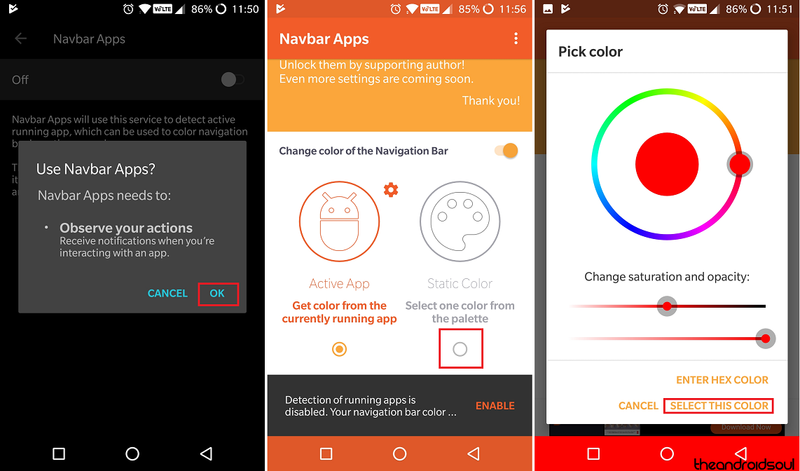 Download the Navbar Apps using the link above and grant the app required permission. Using the color picker, select a distinctive hue that is easily viewable and press “Select This Color” button. Now that you’ve made the navigation bar more visually appealing, you can fire up the Minimal ADB and Fastboot tool to edit the position. Connect your Android device to the computer using a USB cable. Note that the value of -30 is a value that you should use as suitable for your device. So, what that value for your device, you ask. Well, you have to find that by trial and error. You can use the values between 210 to -210. Exceeding those values won’t hurt your device, but won’t have any impact on the navbar position either. A positive value would push the navigation bar up, while negative value would push it down (partially/fully hiding it even, of course). 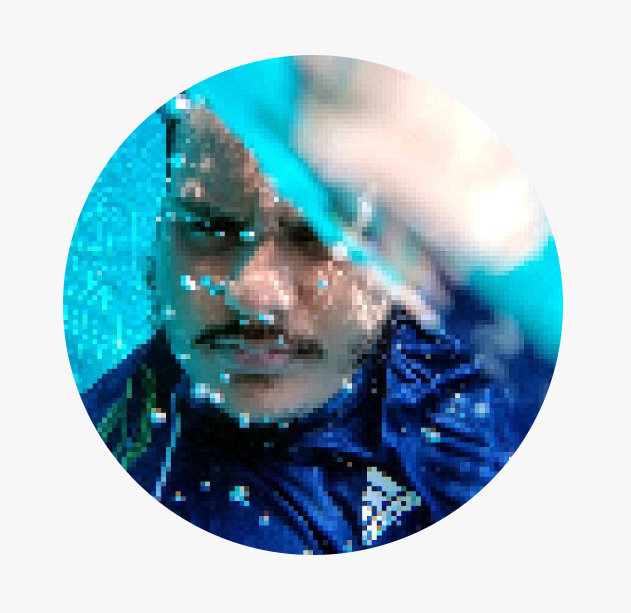 I am using -126 value on my S9+ to completely hide the navigation bar and then use an app like Multi-action Home Button app to use the phone. Our reader, Adam Bosworth, is finding the value of -25 good to reduce the size of the navbar. Need any help changing the height of navigation bar on your device?